مدار ۴۰ درجه جنوبی، دایره‌ای از عرض جغرافیایی است که در ۴۰ درجهٔ جنوبی خط استوا قرار دارد. "40 degrees south" redirects here. For the magazine, see Tasmania 40° South. 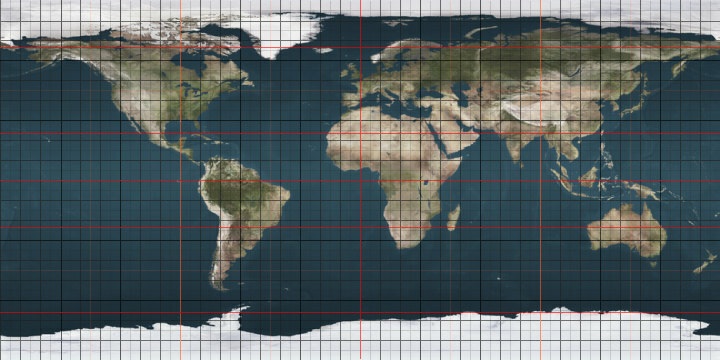 The 40th parallel south is a circle of latitude that is 40 degrees south of the Earth's equatorial plane. It crosses the Atlantic Ocean, the Indian Ocean, Australasia, the Pacific Ocean and South America. Its long oceanic stretches are the northern domain of the Roaring Forties. On 21 June 2018, the sun is at 26.17° in the sky and at 73.83° on 21 December, in King Island, Tasmania, which is near the 40th parallel. ^ "Sunrise and sunset times in King Island, June 2018". www.timeanddate.com. Retrieved 2018-04-29. ^ "Sunrise and sunset times in King Island, December 2018". www.timeanddate.com. Retrieved 2018-04-29. این صفحه آخرین‌بار در ‏۱۸ سپتامبر ۲۰۱۷ ساعت ‏۰۳:۵۰ ویرایش شده‌است.